During that episode, we discovered that Carl — everyone’s favorite (or maybe least favorite) apocalyptic teen— suffered a Walker bite to his abdomen. Walking Dead fans around the world realized this could only mean one thing: Carl’s days were numbered. Michonne, who has built a special, meaningful (in more ways than one) relationship with Carl, took it the hardest after Rick. Michonne was Carl’s mother figure, and to lose her child probably made her feel like she was losing her biological family all over again. 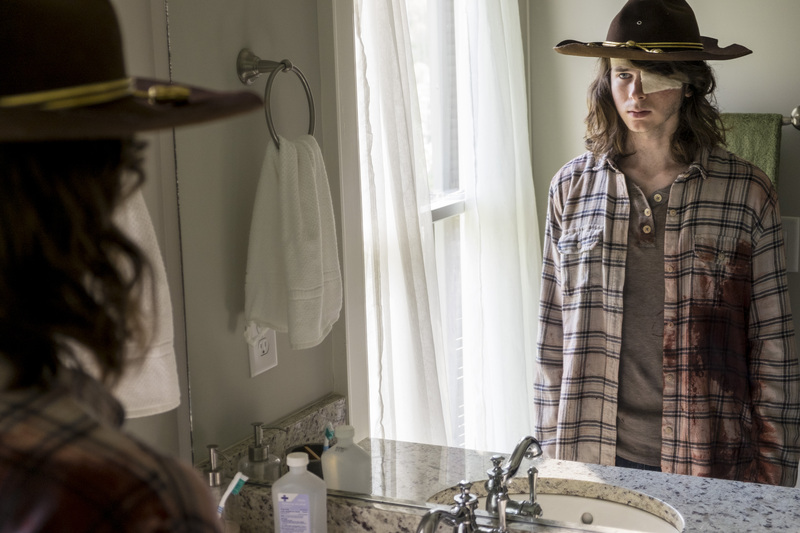 While we waited two long months to see what was in store for Carl, we also speculated as to how show runner’s would handle his death. What we got was an opening scene so moving, we had to push pause and process all the feels. Set to the song “At The Bottom Of Everything” by American indie rock band Bright Eyes, we were treated to a bittersweet montage of Carl spending time with Judith, writing letters to loved ones, and taking care of his final business. The scenes were definitely gut-wrenching, but that song is what’s going to stay stuck in our heads. We won’t spoil how this episode played out, but we will be listening to this song on repeat while we cry our eyes out.